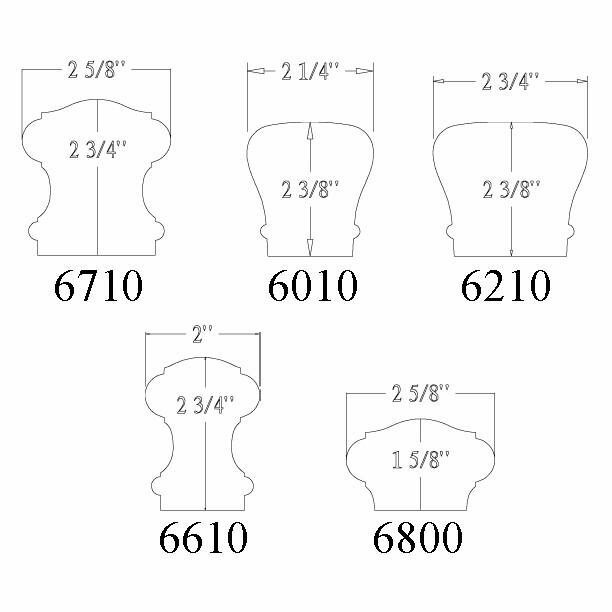 The above products are recommended for installation or mounting of the 135 Degree Level Turn. 135 Degree Level Turn is used on balconies and other places with a 135 degree turn. 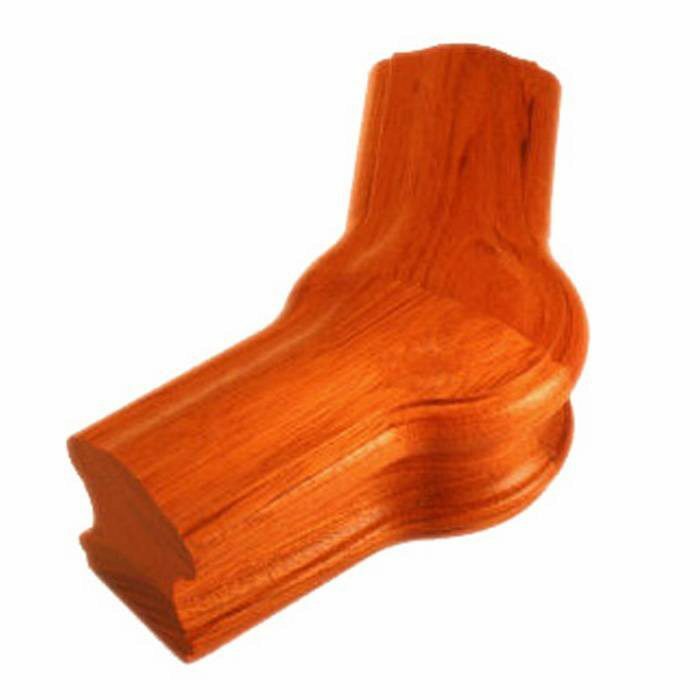 This fitting is designed to sit on the top of a pin top newel for an over the post system. 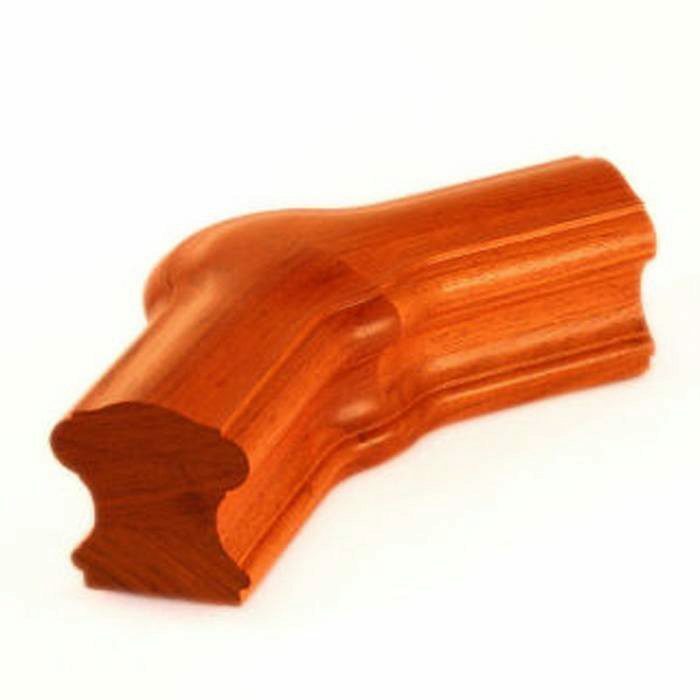 This piece can be cut and re-assembled to create custom angle fittings for stair balconies that are at a non standard angle. All stair parts are manufactured to close tolerances for a precise fit. Be sure to use proper glues and mechanical fasteners such as our rail bolts for a strong connection that will last a life time. I live in a split level house with a stairway that goes up to a landing then turns 180* and continues on up. Do you sell a section that would turn 180* and angle up or down to continue the railing? 1 Overeasing – to transition from angle back to level. 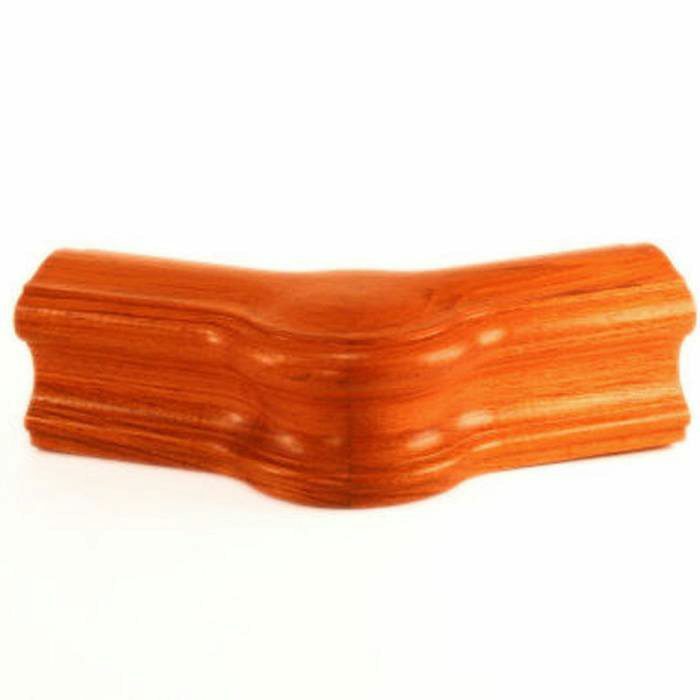 2 Level Quarter Turns with Cap – to turn the corner (also available without the cap. 1 Upeasing – to transition back from level to angle.